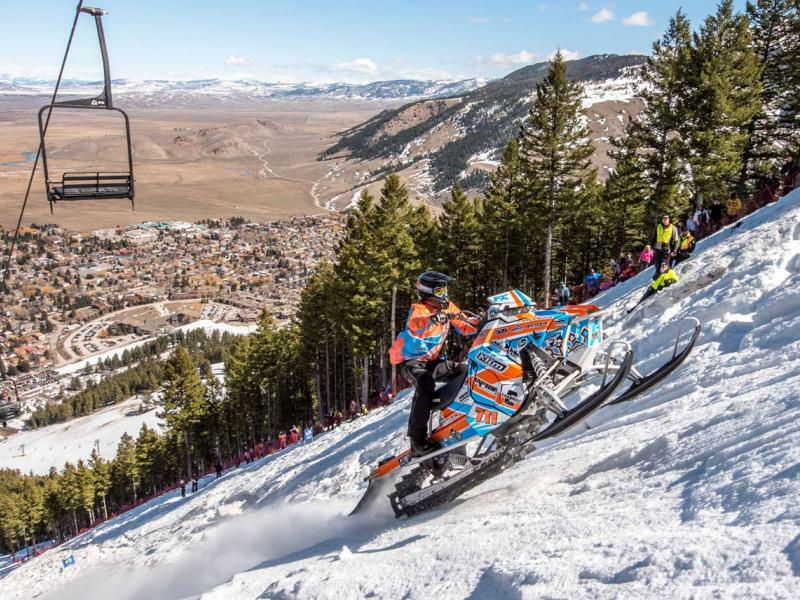 The Hill Climb is back March 21st - 24th, 2019. 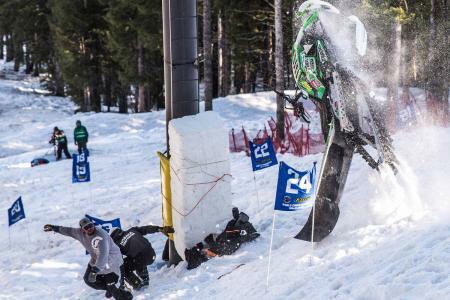 Don't miss the 43rd annual World Championship Snowmobile Hill Climb on March 21st through the 24th. The Jackson Hole Snow Devils host this annual event at Snow King Mountain Resort, just a short walk from The Wort Hotel. What makes this event worth watching? Snowmobilers from all over race to the top of a 1500 ft. vertical rise mountain. As you can imagine, there are plenty of falls and flips, which provides lively entertainment for spectators. If you need a break from the excitement, visit the Silver Dollar Bar & Grill, located inside the historic Wort Hotel. They have daily happy hour from 4-7pm and will be offering a prime rib and Underwood canned wine special all weekend long during the Hill Climb Championship. This is a popular event, so don't wait to book your lodging. Our friendly and knowledgeable concierge can help you plan your stay ahead of time.